Zan wakes with no memory, prisoner of a people who say there are her family. She is told she is their salvation, the only person capable of boarding the Mokshi, a world-ship with the power to leave the Legion. But Zan's new family is not the only one desperate to gain control of the prized ship. Zan finds that she must choose sides in a genocidal campaign that will take her from the edges of the Legion's gravity well to the very belly of the world. 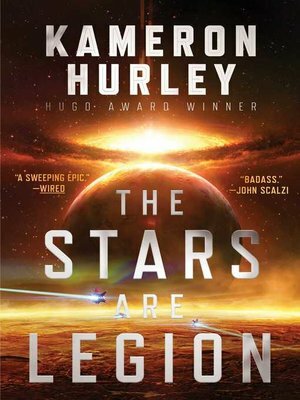 In the tradition of Iain M. Banks's Culture novels and Roger Zelazny's Chronicles of Amber, Kameron Hurley has created an epic and thrilling tale about tragic love, revenge, and war as imagined by one of our most celebrated new writers.